We know that candy is full of sugar and that ideally, you shouldn’t be taking a spoonful of sugar to make the medicine go down. But there are a lot of foods with surprisingly high amounts of sugar, and they’re usually foods we don’t think twice about. When we don’t know what’s in our food or beverages, we’re not able to make informed eating decisions. As parents, the last thing we want is for our kids to be eating something we think is fine, but it ends up being detrimental to their teeth and gums. 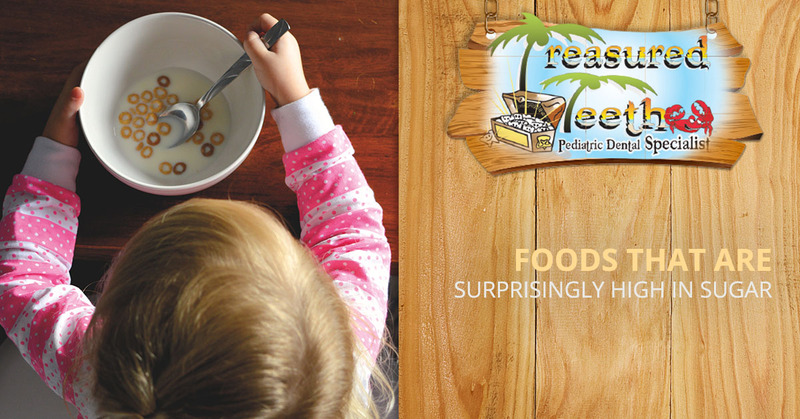 Our pediatric dentists are here with the scoop on foods that you wouldn’t expect to be high in sugar — take a look, and schedule a dental cleaning for your child with Treasured Teeth in Reunion and Thornton! Even though it calls itself “healthy,” yogurt often has tons of sugar. Just a small container that’s a couple of ounces is packed with usually 10-15 grams of sugar. Stick with yogurt options that are lower in sugar so that the benefits outweigh the negatives. Ketchup, BBQ sauce, honey mustard, and even marinara are all tasty for a reason. They’re usually chock-full with sugar. Even though we love slathering those scrumptious sauces on our burgers, it’s for the best that we don’t go overboard. Oftentimes, you can make your own sauces that taste even better than the processed store-bought ones, and they’ll have a fraction of the sugar. Look for easy marinara sauce recipes, and try making your own honey mustard by simply combining honey (which has natural sugars) with a more bitter mustard. Don’t let the advertising fool you. While cereals are fortified with vitamins and minerals, they are still usually full of sugar (especially those slightly addicting kid’s varieties). Plus, when adding milk to cereal, you’re adding even more sugar — milk usually has more than 10g of sugar per serving, although this is natural. Our society treats cereal as a staple when it should really be seen as a treat. Opt for eggs and other high-protein foods for your family’s breakfasts, so that the next dental cleaning is a good appointment instead of hearing the dreaded news of having a cavity. Certain granola bars or protein bars do a great job of having high amounts of protein and low amounts of sugar (also known as a low glycemic index). Luna bars and Power Crunch bars, in particular, taste great and usually have between 5-12g of sugar, which isn’t too shabby. Conversely, CLIF bars are some of the worst. You can expect upwards of 20, even sometimes close to 30g of sugar. These kinds of bars don’t offer enough bang for the buck, and while tasty, that taste comes at a price. When choosing protein bars, make sure you go for things that are low in sugar and still have nutritional value. Frozen meals, canned soups, and other processed foods are bound to have much more sugar than if you make things yourself. Even homemade desserts, like chocolate chip cookies, will likely have less sugar per serving than if you were to buy a thing of Oreos. Whenever you can, try to make things homemade. It can be tricky and definitely time-consuming, but your family will feel so much better as a result. Plus, you’ll be teaching your children healthy habits and the importance of eating right. At Treasured Teeth, we are committed to helping families in the Reunion and Thornton area staying healthy. Dental health is a huge part of overall health, and by making conscious eating decisions about high-sugar foods, you’ll be helping both your teeth and body as a whole. 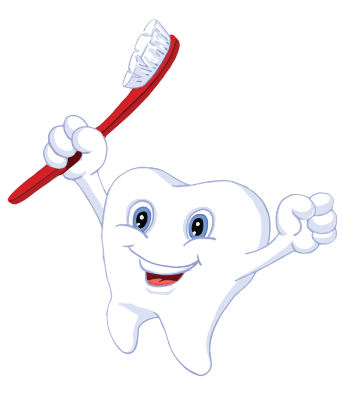 Schedule a dental cleaning or checkup with the pediatric dentists at Treasured Teeth today!